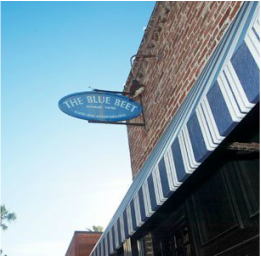 Come with us and enjoy Happy Hour at one of the many historic spots in Orange County. PAST EVENT October 6, 2016, 4:30 p.m. Built in 1948, this building was originally a pump house for agriculture in 1948. 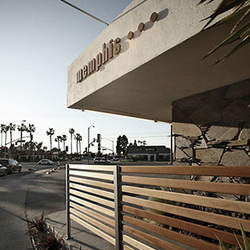 Now a restaurant, the Memphis Café is a Costa Mesa neighborhood mainstay in the heart of the SOBECA district. Soon after opening in 1995, Memphis Café received a “5 star” review from LA Times food critic, Irene Virbilla, and has continued to earn critical acclaim and a loyal following ever since. PAST EVENT December 1, 2016, 4:30 p.m. The Village Inn has a history rich in community. As Newport Beach's premier dining and entertainment establishment the VI has touched generations of locals and tourists alike and commits to maintaining a feeling of comfort and approachability reminiscent of its small town affiliation. PAST EVENT February 2, 2017, 4:30 p.m.
A Newport Beach fixture since 1912, this funky multilevel brick building caters to high-energy groovers that dig the great atmosphere buoyed by live bands; while its a very busy place, locals cherish the absolutely unique charm that differentiates it from others within walking distance. 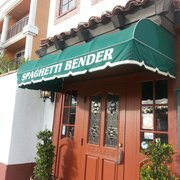 The Spaghetti Bender has been Newport Beach's neighborhood Italian restaurant for 45 years!! Owned continuously by the Pasini clan, generations of Southern Californians have enjoyed this unique restaurant's handmade Northern Italian cuisine. In 1923, Sam's Seafood opened at this location. In 2009, it was re-opened as Don the Beachcomber. (unrelated to the chain).